The key to improvement: quickly find the ball and move fast. 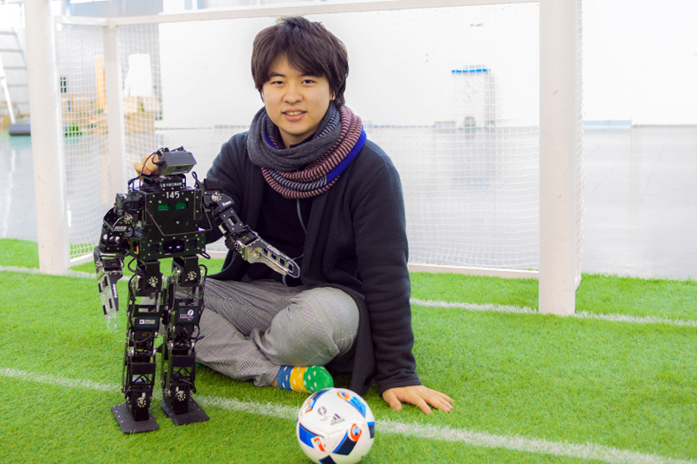 Mr. Kenta Hidaka is a second-year graduate student, participating in the RoboCup Soccer Standard Platform League (SPL) that uses the bipedal communication robot NAO. 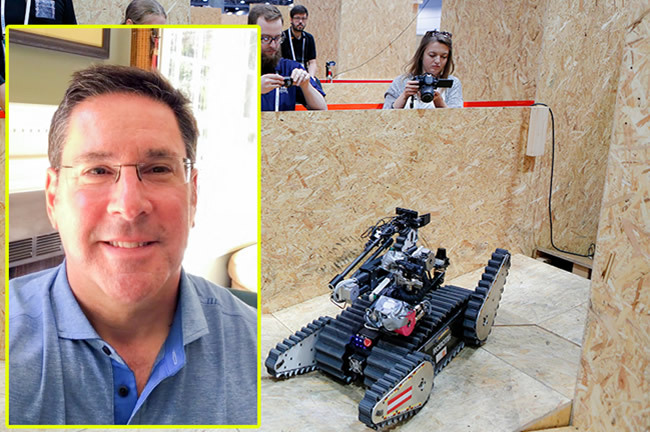 Unfortunately, his team was eliminated in the preliminary round at RoboCup 2016 Leipzig, Germany, last year. 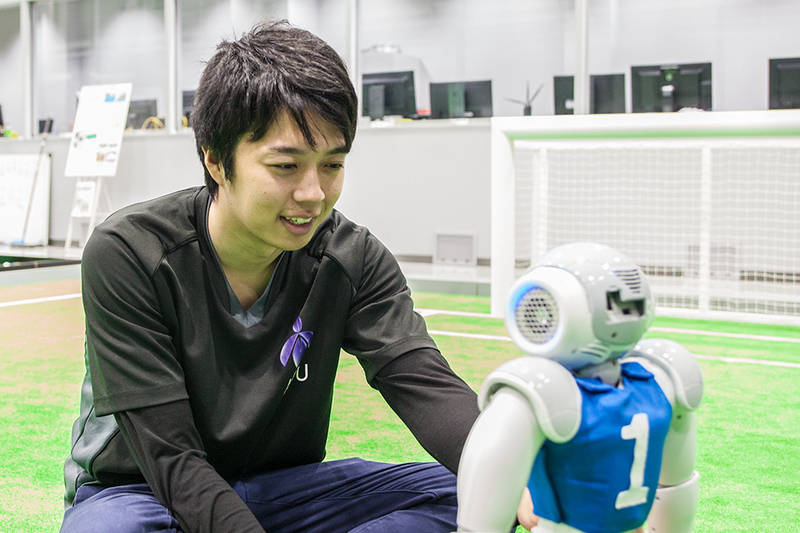 We interviewed Mr. Hidaka about RoboCup, Soccer SPL, and this year’s robot soccer competition, in which he was looking forward to avenging last year’s defeat. -	Tell me why you started participating in robot research and competition. Actually, RoboCup was the motivator. 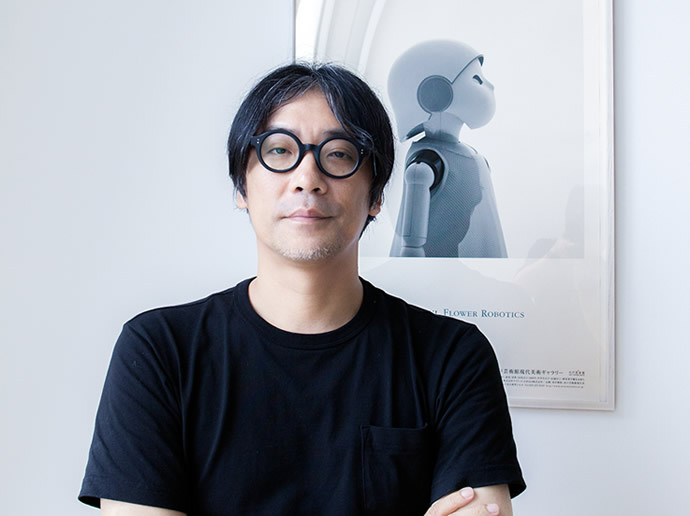 When I was a child, I had a vague sense that I would like to play an active role in something as a Japanese, but I had no chances to interact with robots. 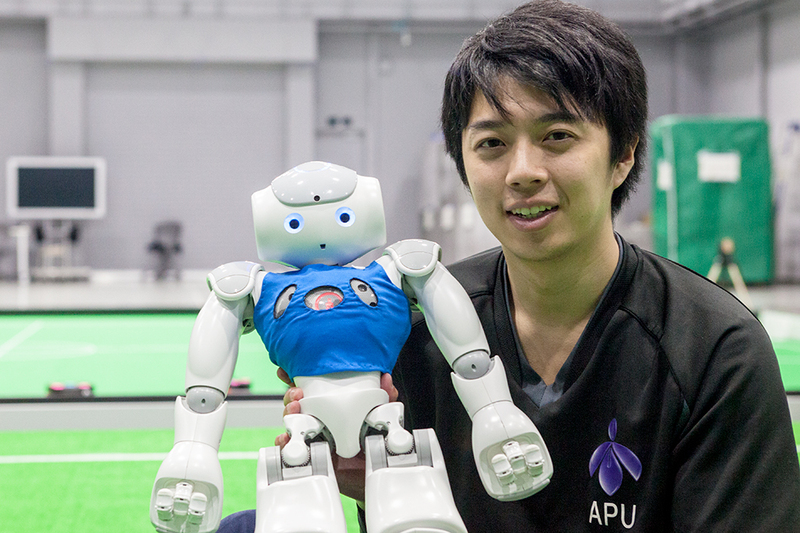 When I chose my research laboratory in the university, I learned about the RoboCup competition in which robots were autonomously controlled by artificial intelligence (AI). 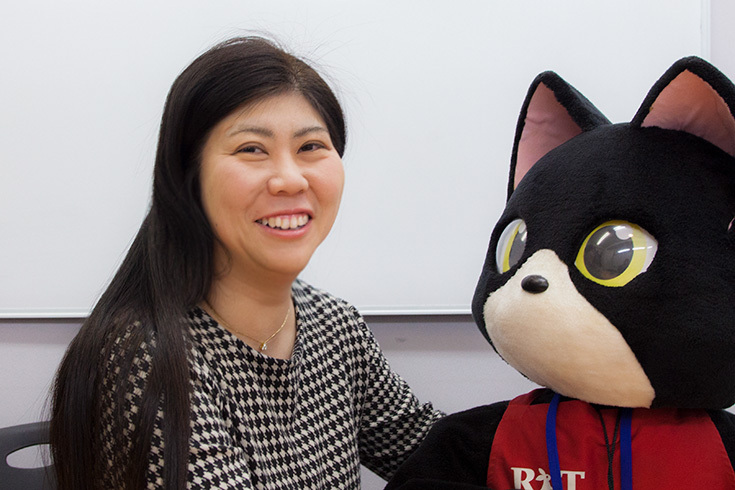 Learning about this worldwide competition, I felt that I could put what I had learned at the university into practice and play an active role as a Japanese. -	What is your current activity? 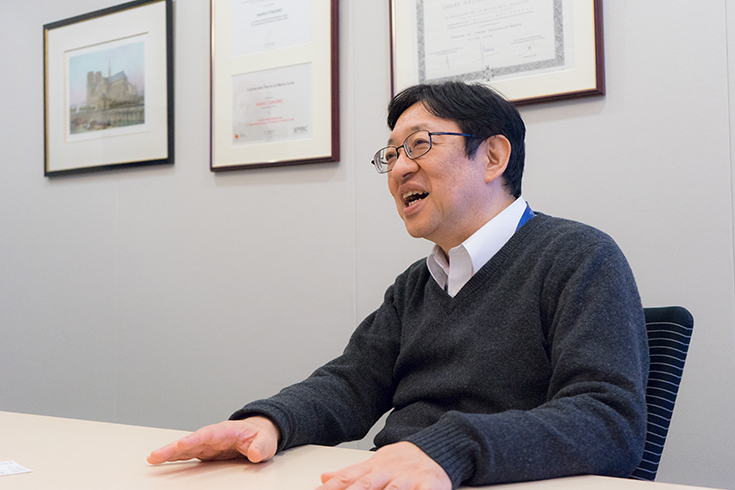 In the graduate school of information sciences, I belong to the laboratory of intelligent machine learning, where I study machine learning technology including deep learning. 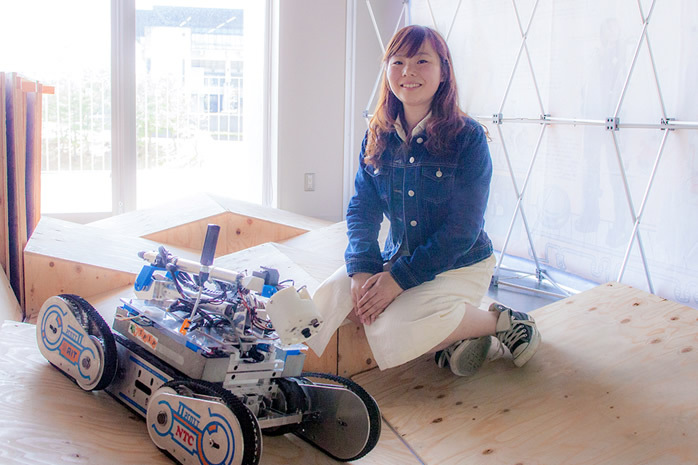 I would like to utilize my knowledge in RoboCup and also learn various robot engineering technologies. 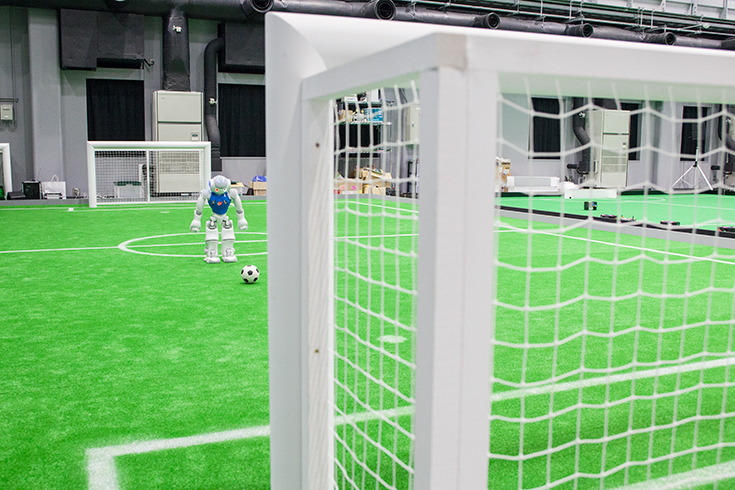 Currently, our university has two RoboCup Soccer teams. 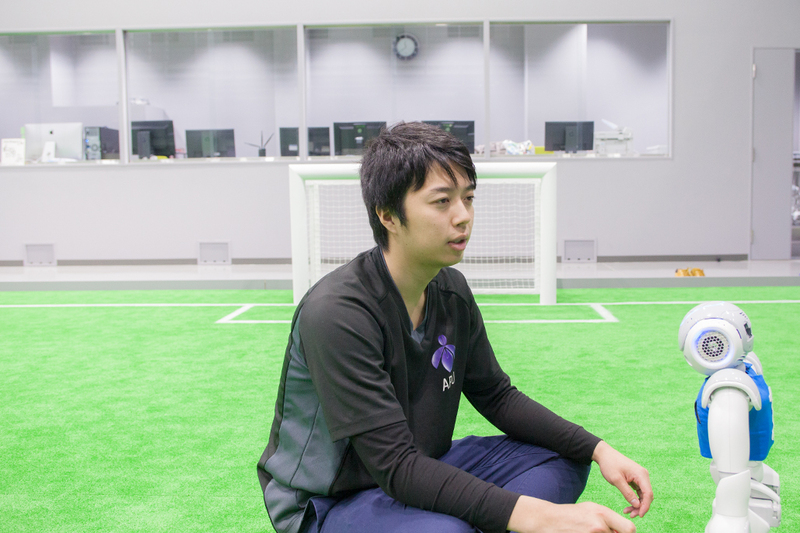 The one which I belong to uses the bipedal robot NAO and participates in the Standard Platform League (SPL), while the other one participates in the Small Size League (SSL). 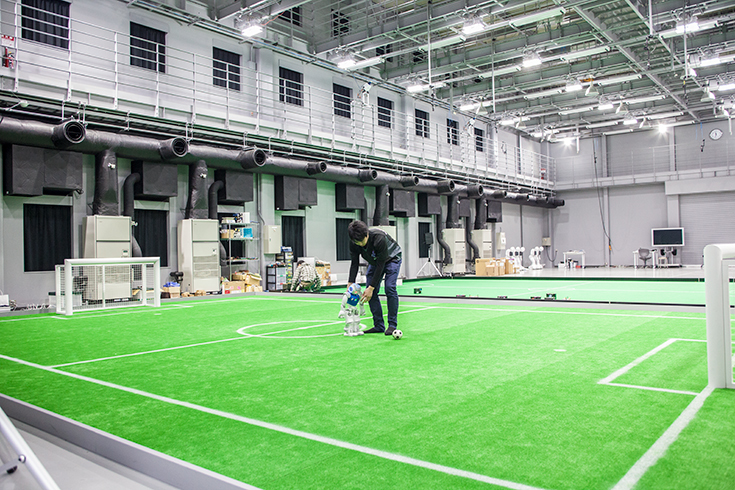 Robotics Institute for the Next Generation, a research facility of the Aichi Prefectural University, has permanent soccer fields assuming RoboCup competition. The near side is the ground for SPL and the far side is for SSL. We can see several Peppers over there. 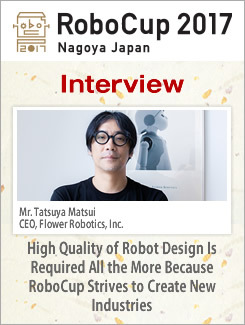 -	Tell me about your impression of RoboCup after joining. I actually thought it was more difficult than I expected. I specialized in programming at my university, but I haven’t learned robot engineering before. 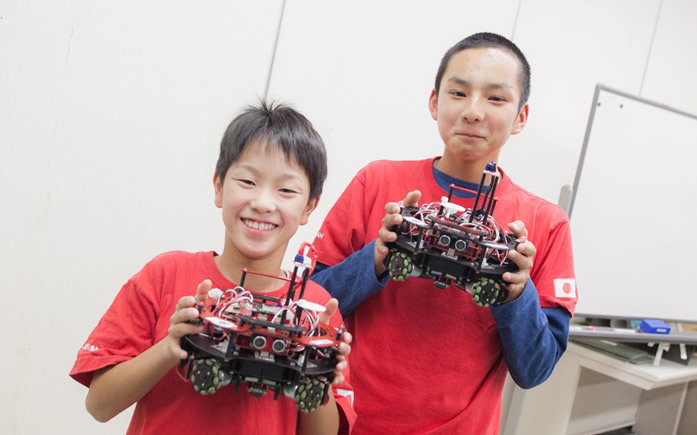 So, I am studying about robot and robotics needed for RoboCup. -	Tell me about the Soccer SPL. 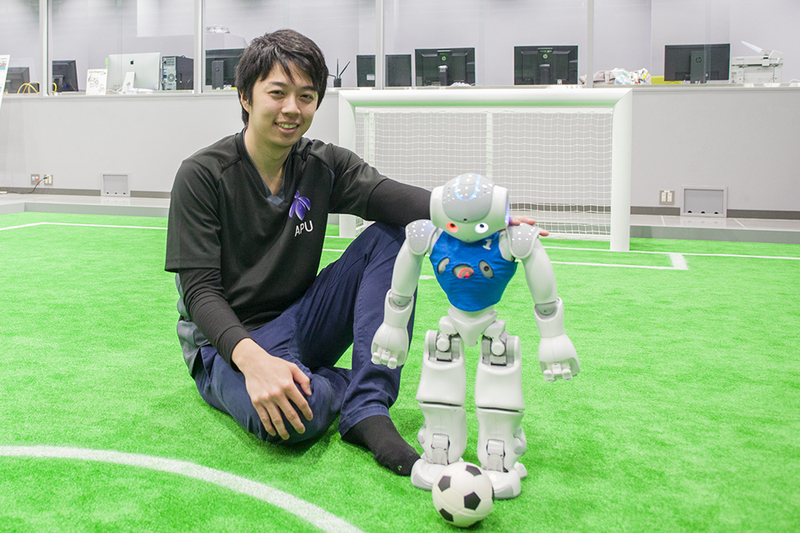 It is a soccer league using a bipedal robot called NAO. One team consists of five robots. In principle, modifications of robots are not allowed, so the competition mainly focuses on software and tactical skills. I joined the competition as part of a team two years ago, so this year is the third year for me. I feel the competition rules are gradually becoming harder year by year. Two years ago the ball was orange-colored, so I used color to recognize the ball. However, since last year, the ball color was changed to black and white, so I must seek more advanced recognition techniques. 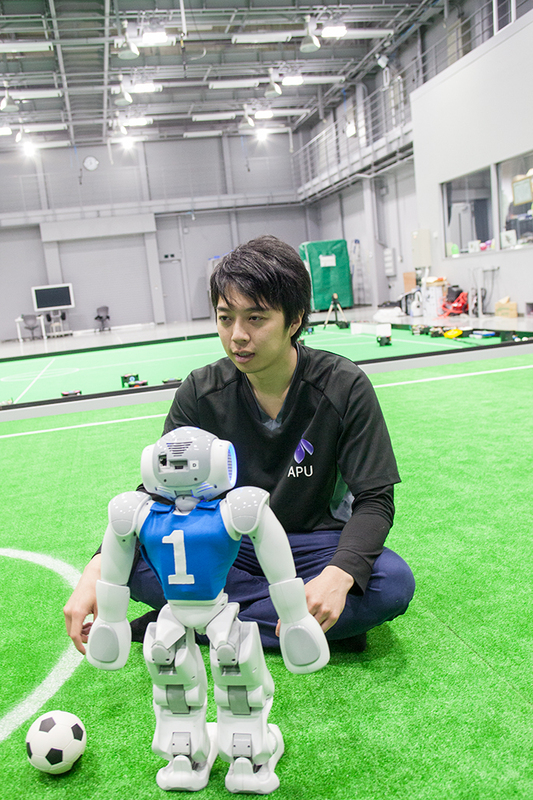 Also, from this year, the competition field has been changed from carpet to artificial turf, on which a bipedal robot has difficulties in walking stably. - Do you employ the deep learning concept in recognizing the ball? I study the deep learning theory at university, but I don’t use it in my robot. The soccer SPL prohibits the modification of robots, so we cannot add a GPU board or AI computer. Therefore, instead of heavy-loading technology like deep learning, I am trying to improve the recognition rate by using light-processing machine learning techniques. -	I suppose each robot moves autonomously. How do they behave in an actual game? Does each robot directly go to the ball, or does it behave as a team player? In our team, each robot has its own role such as forward, defender, and goalkeeper, and plays according to its role and area of movement. Within each area, each player tries to find a ball as soon as possible and autonomously thinks and moves toward the ball according to the position of the ball. 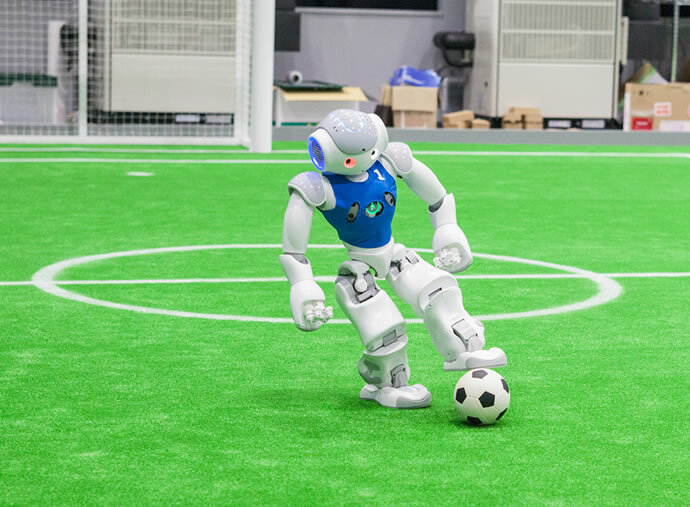 Upon reaching the ball, the robot kicks it toward the direction of the goal. The forward players are also programmed to find and kick rebounds. -	Is it difficult for a robot to make a pass to other robot? I think some top-ranked teams can do it and I was surprised to see it actually. It is quite impressive to see passes made by competitive teams. I wish to do it with our robots, but it is actually quite difficult. To make a pass, a robot needs a technique called self-localization to recognize its current position. Then, the robot needs to understand the positions of its team members and make a pass by controlling the strength of the kick. 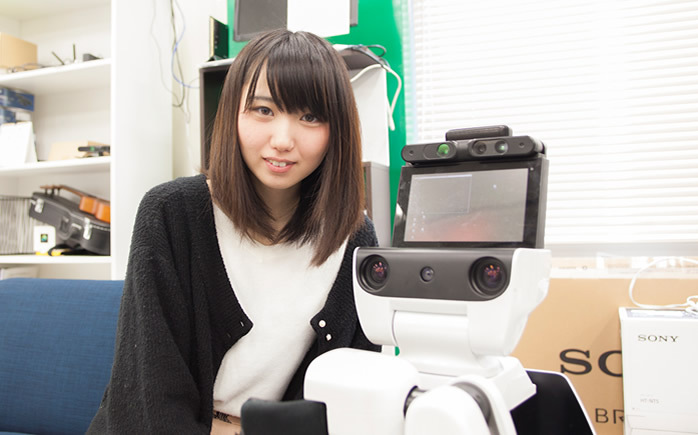 It is an ordinary behavior for human, but still quite difficult for a humanoid robot. -	When do you think a pass is particularly effective? At this moment, the movement of robots is slow, so I don’t think making a short pass is so effective, but making a long pass is very effective in advancing the ball. I also think it will improve the quality of a game if an offensive player can get out of the way of an opposing defender in a one-on-one battle and make a pass to a team mate. -	What features do you want to improve? I think I have three challenges for improvement: walking, recognition of a ball, and decision making. Walking is simply improving the travelling speed on artificial turf as much as possible. Regarding recognition of a ball, even for robots of top-ranked teams, it may be difficult to accurately measure the distance to a ball located more than five meters away. The size of the competition field is about six meters by nine meters. Human beings can recognize a ball located far away and work out the approximate location. We need to develop a technology to recognize a ball located far away. - I see. Then, how about decision making? Our robot can only behave according to prescribed rules. In the future, I want to add a feature that enables autonomous decision making. For instance, we can program a robot to autonomously determine a place or direction to go, or kick a ball in the direction of the goal. We also need to enable side or back passes when the robot detects an opposing defender in the direction it is travelling or kicking. Human beings can flexibly address such unexpected situations, but our robots still cannot do so. -	Do you want to put your own technologies into practice? Yes, I do. Every year, we develop our own technologies. 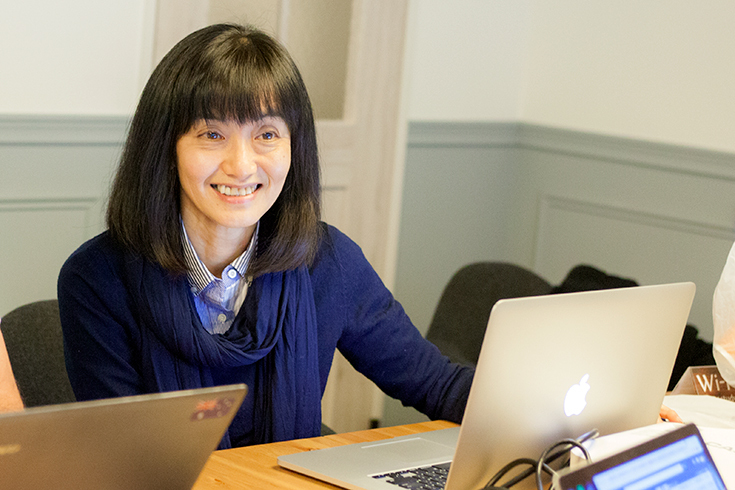 In addition, we study open-source technologies and use open-source functions. We incorporate our own technologies and such open-source technologies into our own robots. 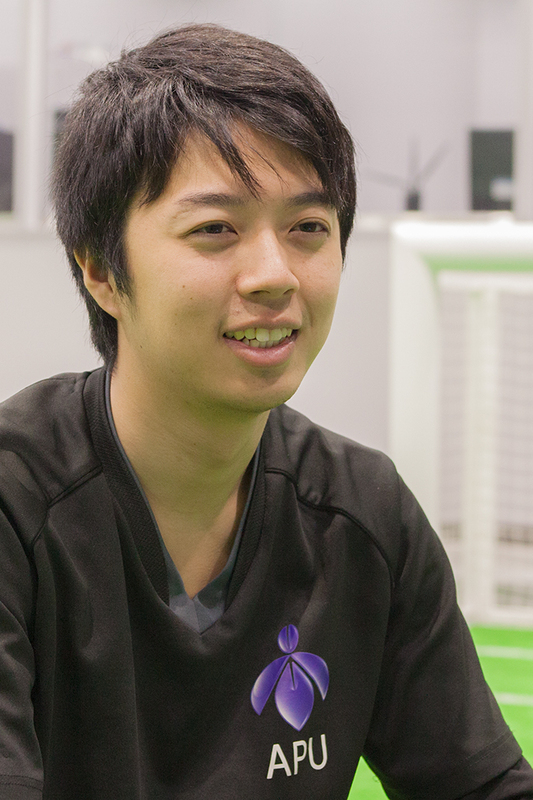 In the future, we would like to develop technologies that can be shared by other teams. To do this, we would like to address the three challenges I have just mentioned by using machine learning technology. Although our humanoid robot still needs time to walk steadily, we are improving its motion little by little to make it closer to that of a human being. Seeing the progress we have made each time makes us very happy. Born in Aichi Prefecture in 1993.